Remembering Olive Collective | Do you remember Olive Morris? The Remembering Olive Collective (ROC) was made up of women of different ages and backgrounds. The main aim of ROC was to create public and permanent memories of Olive Morris. Olive Morris’ nephew Ferron paying a surprise visit to a ROC meeting, here pictured with a cohort of ROC members. 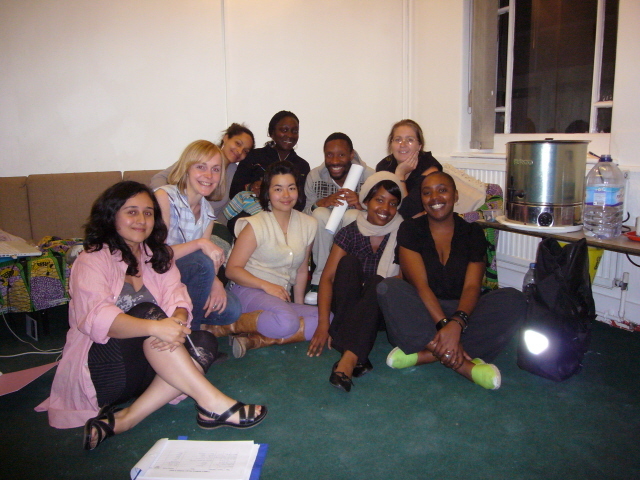 From October 2008 when it was founded until its disbandment in October 2010, ROC met monthly at Lambeth Women’s Project in Brixton. Together we researched and documented the history of Olive Morris and her times, and we learnt about each other and about women’s histories and why it is important that we keep them alive. Meetings included talks by those who knew Olive Morris and come to share their memories of Olive but also their own histories. During this time, ROC created the Olive Morris Collection now based at Lambeth Archives, comprising a selection of Olive Morris personal documents and photographs (donated by Liz Obi) and 30 oral histories interviews. Please note that former ROC members are in the process of uploading the full set of meeting Minutes to the blog. Our February meeting will be longer as we will be looking at the year ahead and deciding what do we want to concentrate on, as well as looking at improving the way in which we work collectively. If you plan to come, bring something to eat and drink as it will be a longer session than usual.